Located in Polk County, Davenport Florida is only fifteen minutes west of Walt Disney World. The close proximity to Central Florida's attractions makes taking an afternoon break at your vacation home a great way to enjoy your swimming pool. When you need a break from the theme parks, you can play a couple rounds of golf at one of Davenport's golf courses: Highlands Reserve Golf Club, ChampionsGate, Reunion or Providence Golf & Country Club. 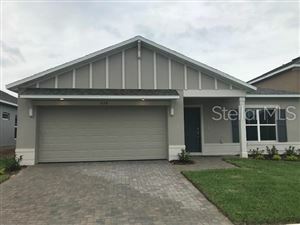 If you are looking to do some shopping you will also be close to some of the area's largest shopping centers and outlets in Orlando, Kissimmee and Tampa. The area is ideal for vacation homes, second homes, retirement homes, and investment homes.